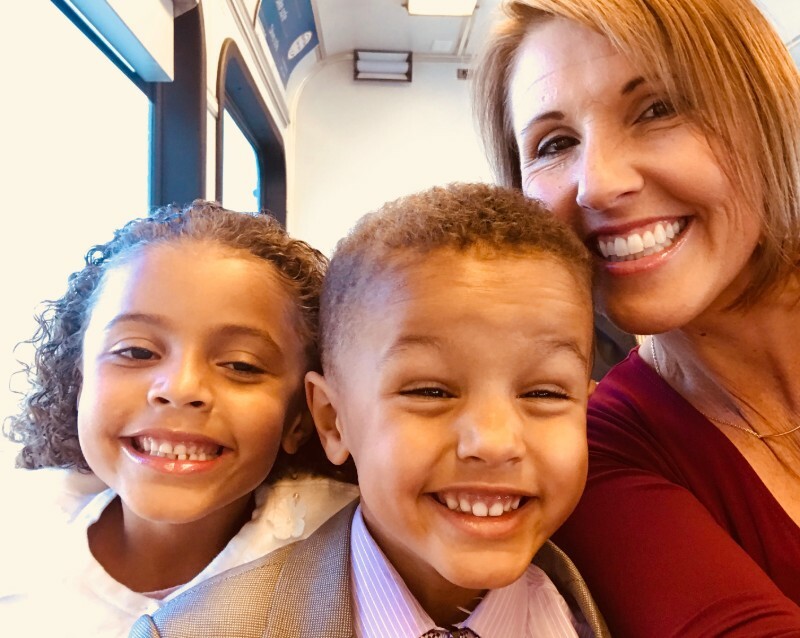 Home>News and Media>Connect with VTA>What’s Your #LoveVTA story? Love is in the air and VTA can take you and the one (or ones) you love to all your special places. 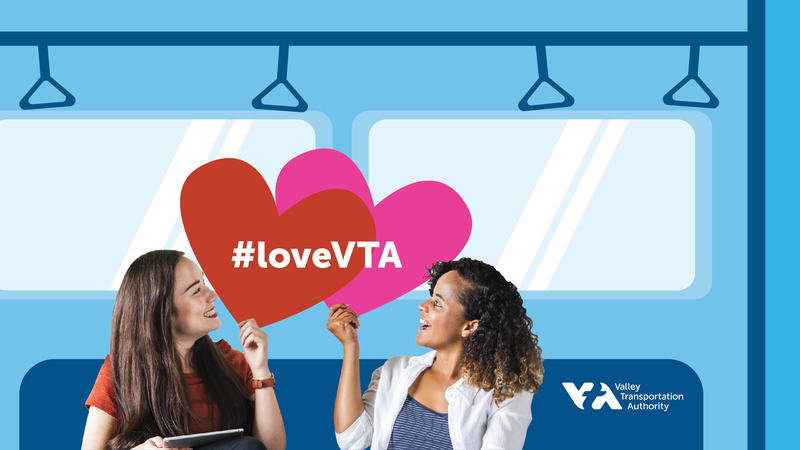 Share the love even more by posting your #LoveVTA story onto Instagram, Twitter, or VTA's Facebook page wall through Sunday, February 17 for a chance to win two tickets to a Golden State Warriors game! The first 25 entries will receive a $5 gift card of their choice (choose from Amazon, Starbucks, iTunes, or Target). Bonus: Posts with photos on VTA bus and light rail will get an additional entry into the contest! Post your #LoveVTA story onto Instagram, Twitter, or VTA's Facebook page wall from Feb. 1 to 17. It’s as simple as that. We hope you have a wonderful Valentine’s Day! Photos must be submitted by 11:59 p.m. on February 17 to be eligible for entry. No purchase necessary. To enter our contest, you must post original text, photo, or video sharing your #LoveVTA story and use the hashtag #LoveVTA on Instagram, Twitter, or VTA's Facebook page wall. Participants may enter an unlimited number of original posts; posts with a photo or video will receive one additional entry into the Grand Prize drawing. Entrants must be 13 years or older to win. Winners under 18 years of age must have parental consent to claim their prize. Inappropriate or offensive images will be disqualified and removed. The contest is open to all Santa Clara County residents excluding VTA employees and their immediate families. No substitutions or exchanges are permitted. The first 25 entries will receive a $5 gift card of their choice (choose from Amazon, Starbucks, iTunes, or Target); limit one gift card per person. VTA will have a drawing on February 20th for the Grand Prize. One winner will be randomly selected to receive two tickets to a Golden State Warriors game. Winners will receive prize notification the morning of February 21 via social media and must claim their prize by February 28th as directed through prize notification. Subject to your profile and privacy settings, once you have shared content by posting it to the public, VTA may re-share your content on Facebook, Twitter and Instagram. VTA will recognize the original author of the content. VTA will re-share or re-tweet content shared as part of this contest for advertising and promotional purposes without compensation.